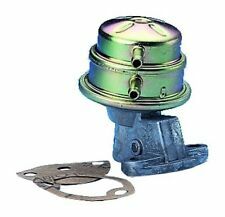 Fuel Pump for use on vehicles with Alternators. Should also use a 100mm Push Rod 183VG0420. Equivalent to part number: 113127025G. We just want you and your car to be happy! You'll have the part ASAP. PEUGEOT 1525Y1. We just want you and your car to be happy! 12 months warranty on all orders. We will always attempt to rectify the issue as fast as possible! You'll have the part ASAP. Eg, Vetech, Erst Klassig, Franzen, NK, etc. We just want you and your car to be happy! We will always attempt to rectify the issue as fast as possible! You'll have the part ASAP. Eg, Vetech, Erst Klassig, Franzen, NK, etc. With this in mind, we will indicate what type of product you are looking at within the following guidelines. PEUGEOT 1525H8. PEUGEOT 1525F8. PEUGEOT 1525AR. We just want you and your car to be happy! You'll have the part ASAP. 12 months warranty on all orders. We will always attempt to rectify the issue as fast as possible! BMW 16 14 1 183 176. BMW 16 14 1 183 216. BMW 16 14 6 752 368. Fitting Position in fuel tank. Top quality part with 12 months warranty. Weight [kg] 0,5. Fitting Position::in fuel tank. We just want you and your car to be happy! We will always attempt to rectify the issue as fast as possible! You'll have the part ASAP. FORD 1123617. FORD 1119880. FORD 1117944. Fuel Type::Petrol. We just want you and your car to be happy! BMW 6758735. BMW 16146758735. BMW 16141182887. BMW 1182887. You'll have the part ASAP. We will always attempt to rectify the issue as fast as possible! We just want you and your car to be happy! VOLVO 8603527. VOLVO 36002487. We will always attempt to rectify the issue as fast as possible! You'll have the part ASAP. Eg, Vetech, Erst Klassig, Franzen, NK, etc. Fuel Pump for use on vehicles with Generators. Should also use 108mm Push Rod. Equivalent to part number: 113127025D. We just want you and your car to be happy! You'll have the part ASAP. We will always attempt to rectify the issue as fast as possible! PEUGEOT 96182650. PEUGEOT 961082650. PEUGEOT 96103453. PEUGEOT 145509. PEUGEOT 145097. Fitting Position::in fuel tank. We just want you and your car to be happy! 12 months warranty on all orders. Top quality part with 12 months warranty. Weight [kg] 0,5. VAG 1K0 919 050D. VAG 1J0 919 050G. OE Numbers Length [mm] 265. We just want you and your car to be happy! We will always attempt to rectify the issue as fast as possible! You'll have the part ASAP. FORD 3M519H307AU. FORD 1602781. FORD 1529595. FORD 3M519H307AV. We just want you and your car to be happy! Fuel Type::Diesel. 12 months warranty on all orders. You'll have the part ASAP. Eg, Vetech, Erst Klassig, Franzen, NK, etc. We will always attempt to rectify the issue as fast as possible! OPEL 93190486. OPEL 93190244. OPEL 93188709. OPEL 93182410. OPEL 55204599. OPEL 55193731. We just want you and your car to be happy! We will always attempt to rectify the issue as fast as possible! Fuel Pump for use on vehicles with Generators. Should also use 108mm Push Rod. Equivalent to part number: 113127025D. We just want you and your car to be happy! We will always attempt to rectify the issue as fast as possible! Fitting Position::in fuel tank. We just want you and your car to be happy! FORD YS6U9H307DD. FORD 1112051. We will always attempt to rectify the issue as fast as possible! You'll have the part ASAP. Fitting Position::in fuel tank. We will always attempt to rectify the issue as fast as possible! We just want you and your car to be happy! You'll have the part ASAP. Eg, Vetech, Erst Klassig, Franzen, NK, etc. Fitting Position : in fuel tank. Weight [kg] : 0.5. SUZUKI 1510083E00000. SUZUKI 1510083E00. GENERAL MOTORS 9204647. We will always attempt to rectify the issue as fast as possible! We just want you and your car to be happy! JEEP 05080255AA. JEEP 5080255AA. Fuel Type::Diesel. 12 months warranty on all orders. You'll have the part ASAP. Fuel Type::Petrol. We just want you and your car to be happy! We will always attempt to rectify the issue as fast as possible! You'll have the part ASAP. Eg, Vetech, Erst Klassig, Franzen, NK, etc. Fitting Position::in fuel tank. We just want you and your car to be happy! You'll have the part ASAP. We will always attempt to rectify the issue as fast as possible! With this in mind, we will indicate what type of product you are looking at within the following guidelines. Fuel Type::Petrol. We just want you and your car to be happy! BMW 6758736. BMW 16146758736. BMW 16141183139. BMW 16141182985. BMW 1183139. BMW 1182985. 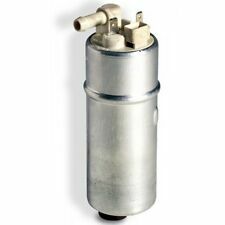 Fuel Pump for use on vehicles with Alternators. Should also use 100mm Push Rod. Equivalent to part number: 113127025G. We just want you and your car to be happy! We will always attempt to rectify the issue as fast as possible! Fitting Position : in fuel tank. Weight [kg] : 0.5. JAGUAR NMD6013CA. JAGUAR NMD6013BA. JAGUAR NMD6013AA. JAGUAR EBC11368. JAGUAR EBC11367. Fitting Position : in fuel tank. Weight [kg] : 0.5. HYUNDAI 31111-23001. Fitting Position : in fuel tank. Weight [kg] : 0.5. TOYOTA 23220-OP010. TOYOTA 23220-21132. Fitting Position : in fuel tank. Weight [kg] : 0.5. HYUNDAI 31111-09000. We just want you and your car to be happy! You'll have the part ASAP. Eg, Vetech, Erst Klassig, Franzen, NK, etc. We will always attempt to rectify the issue as fast as possible! With this in mind, we will indicate what type of product you are looking at within the following guidelines. Fitting Position : in fuel tank. Weight [kg] : 0.5. OPEL 9120218. OPEL 815051. OPEL 815037. We just want you and your car to be happy! We will always attempt to rectify the issue as fast as possible! You'll have the part ASAP. 12 months warranty on all orders. RENAULT 8200639432. RENAULT 8200369432. We just want you and your car to be happy! We will always attempt to rectify the issue as fast as possible! You'll have the part ASAP. Eg, Vetech, Erst Klassig, Franzen, NK, etc. We just want you and your car to be happy! We will always attempt to rectify the issue as fast as possible! You'll have the part ASAP. With this in mind, we will indicate what type of product you are looking at within the following guidelines. This Fuel Pump Push Rod is used on all vehicles using Alternators including T25 waterboxesr. Equivalent to part number: 113127307A. We will always attempt to rectify the issue as fast as possible! We just want you and your car to be happy! Item model number FP5184. RENAULT CLIO 1.2i 5/1998-12/1999. RENAULT CLIO 1.2i 12/2000-6/2001. RENAULT CLIO 1.6i 5/1998-11/1999.